"Garrett Pappano is playing reasonably well. Garrett has faced opponents with an average rating of 472.2. Garrett should seek opponents of equal or greater strength in order to improve. He has improved by 419 points since 2014-12-13. 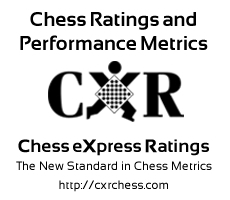 However, Garrett Pappano is also in a slump, off 104 points from a peak rating of 768 achieved on 2017-03-04. "